The swinging sixties – a decade of mini skirts, flower power and Beatlemania – and the dawn of Canvas Holidays. In the 1960’s Britain became a truly affluent society – vacuum cleaners and washing machines were in most homes, and cars and fridges became the norm. And for the first time – foreign family holidays became common place. One of these new ‘explorers’ of foreign shores was Jim Cuthbert and his family. Like many in the 1960’s, the most affordable way for the Cuthbert family to explore Europe was by camping. It was on one of these holidays that Jim Cuthbert found sound inspiration. Whilst waiting on the cross Channel ferry in Ostend he observed many other families crammed into cars filled to the brim with camping equipment and other holiday essentials – and thought how helpful it would be if all this could be provided at the campsite. With this inspiration and a great love for the essence of the camping holiday, Jim Cuthbert set out to make camping abroad easier. And so Canvas Holidays was born in the spring of 1965 and transformed the world of continental camping as we know it. A total of 25 of the best quality tents that money could buy were erected in Northern France, equipped with camping essentials plus cookers and gas. Holidays were sold at 10-17 guineas a week for six people and in the first brochure holidaymakers were promised that on arrival everything would be “ready for the first cup of tea”. New Year’s Eve is always a time for celebration and reflection. The excitement of what the new year may bring, mixed in with the feelings of the year gone by. It’s a great time to have some fun, celebrate with loved ones and look forward to whatever the future may hold. Here in Scotland, New Year’s Eve, or Hogmanay as it’s known, is a really big deal. It seems like the world descends on Edinburgh to take in the fantastic atmosphere of the world-famous festivities and street party. The fun starts on New Year’s Eve with a torchlight procession through the middle of the city, before rounding the evening off with an amazing fireworks display. 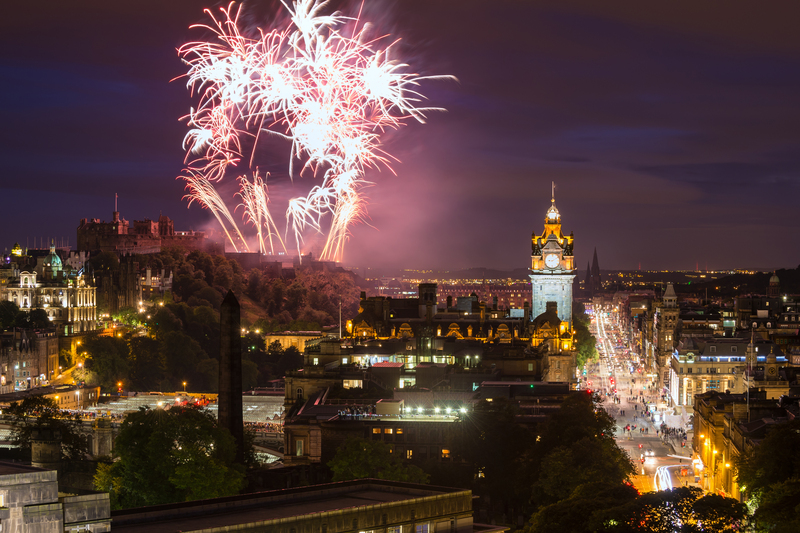 At Hogmanay, the city centre comes alive as thousands of people descend on the streets to enjoy live music, mulled wine and the world famous fireworks as the clock strikes 12. Across Europe, lots of cities have their own traditions that makes New Year’s Eve so special. We love hearing stories from your holidays and were curious to know what makes some customers return to the same campsites time and time again. After circling Paris Charles de Gaulle airport approximately six times while trying to locate the exit from the car rental place, we cheered as we finally got onto the motorway and en route to Camping la Croix du Vieux Pont. As the sun started to set, we drove through miles of French countryside and excitedly chatted about what we were expecting when we arrived at the campsite. To be honest I was maybe a teeny bit apprehensive due to not having taken a holiday like this before. I needn’t have worried though. We were met by a friendly courier and as we unloaded our bags into the cosy lodge, I felt real excitement creep over me about the next couple of days. We’re a nation of weather obsessives, and no more so than just before we go on holiday, particularly if you’re going away at a time of year when sun is a little less guaranteed. However the sunshine needn’t make or break your camping holiday. A spot of rain shouldn’t stop you from getting out and about and exploring or enjoying quality time with your loved ones, and as for the sun tan, you can always fake that! Here are some of our suggestions for making the most of your holiday if the weather isn’t quite on your side. If you had your heart set on lots of al fresco eating during your holiday but grey skies have made the prospect risky, create a picnic indoors. The kids will love it. Stock up on lots of goodies from the local supermarket, chuck a blanket over the table, and voila, you’re all set. 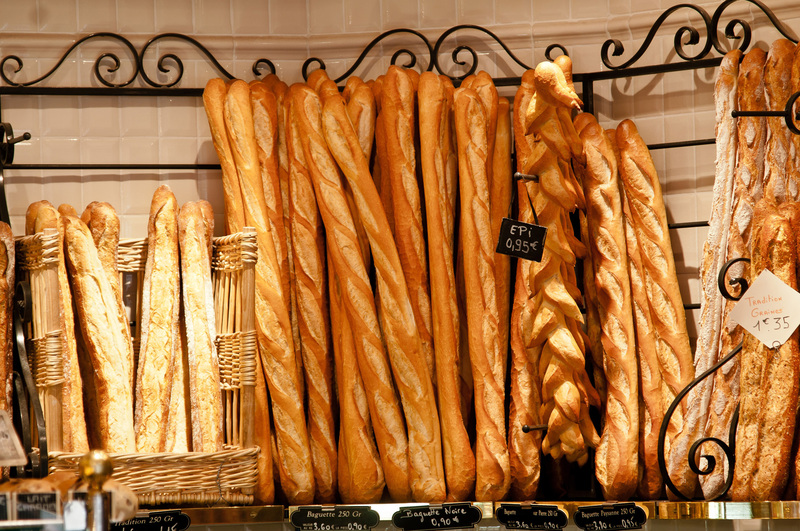 Copious amounts of bread and cheese tastes just as good indoors, and you won’t have any nasty flies to contend with. So the holiday. Well you know what – we had fun! I’m not going to write a day by day account of what we did on our holidays, but I thought I’d share the Harper’s holiday highlights! As I mentioned in my previous post, it’s hard for us to find time to take the boys swimming. So our Canvas holiday was the first time they’d been! The pool at Berny Rivière was lovely – the toddler pool has a retractable roof, so can be used in all weather and the water was warm. Although we didn’t use them, there are plenty of changing cubicles, so you don’t have to drag dripping wet toddlers around the campsite. The boys loved the pool (one slightly more than the other, as you can tell from the picture!) and we’ve resolved to make sure we take them regularly in the future. If you read my previous post, you’ll know I was not exactly looking forward to the journey to France. Five hours in the car from Fife to Hull, an overnight ferry crossing, then a three hour drive from Zeebrugge to Camping la Croix du Vieux Pont, Berny Rivière. With two seven month olds. While it wasn’t a breeze, it was nowhere near as bad as I thought it was going to be! Honestly. We allowed plenty of time for the drive – it’s a five hour journey, but we knew we needed to allow a couple of hours more to give the boys time out of their car seats. I planned ahead and found somewhere we could stop and let them have a wriggle about which wasn’t miles off route. We also timed our journey so we would be able to get straight on to the ferry when we arrived in Hull as it would be their tea time and I couldn’t bear the thought of sitting in a queue with two screaming babies! We were in luck – sort of – most of the screaming happened in the final bit of the drive when they decided enough was enough!